AMERICAN-MADE STORIES: Click here to read more about this American candy company. I received my delicious Peppermint Candy. Our local store ran out and it was taking forever to be replenished. I looked on line and bought 6 packages. Great price, great delivery, great candy. Always got to have my peppermint in the evening before bed. Great prices. Delivery was great. Customer service is awesome. Thanks so much. FINALLY found the 'treasure trove' of hard candies! 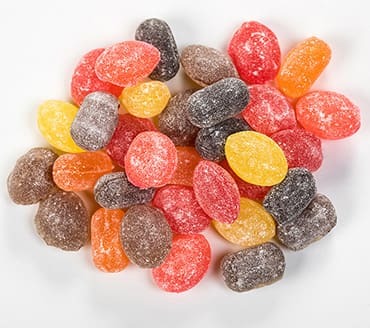 I was hooked on licorice jelly beans from the get go as a child back in the '50s. LOVED ALL LICORICE EVERYTHING!! Sorta grew out of it eventually, quit eating pretty much all candy. Several years back, ran across some 'intensely strong licorice' breath mints. Had one tin for years, enjoying them sparingly, as it seemed like there was a shortage of licorice candy. Found some 'make-believe' licorice, but it was quite nasty. Last year I found some of those mints on e-bay for around $25 a tin. Too much for my pocketbook. Was in a hardware store about a month or so ago, and as I was checking out, I spied a Claey's candy display. It didn't have any licorice there, but I did find Anise flavored hard candy. Picked up a bag, brought it home and OH MY GOODNESS! Almost as good as the old-time candy from my childhood. Looked the company up on the 'net and THERE THEY WERE! MY LICORICE hard candies!!!! Ordered 3 bags of Anise and 3 bags of Licorice and I am in salivary heaven! The Licorice is really, really good. Can't make up my mind which I love the most....the Anise or Licorice. Does it matter?? NOT AT ALL as long as I have a stash of both! SOOO glad I found Lehman's Candies! We recently purchased a few bags of Horehound candy just to taste to make sure we would like before we ordered any more. This is truly the old type of Horehound candy that I remember as a child 60+ years ago. We are ready to place another order! 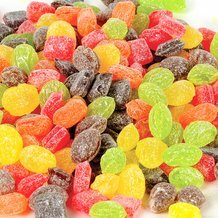 My wife says that the quality has improved, the candies are more consistent in size, and flavor. 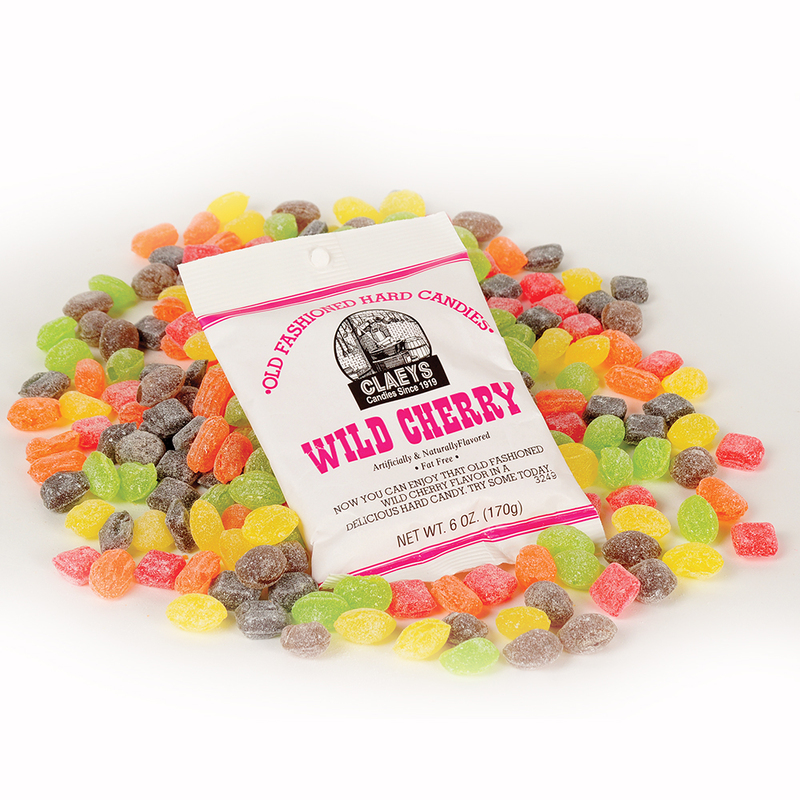 The Wild cherry candies taste wonderful! Cherry is one of my favorite candy flavors and these do not disappoint. Plus the price is unbeatable! I ordered these as I love to keep my candy dish filled with candy and these seemed like a good choice. Now the are almost gone and its time to reorder. Gotta tell my corner pharmacy store to get 'em by the bucket(s). Wild Cherry and Lemon especially are snapped up by the armloads (two senior siblings nab up 10 bags apiece, I'm told). Love to see the Mixed Fruit and Root Beer as selections, too. i loved it so much, i just had to order on line and i live on Maui it may come to me on a slow boat but it is worth it. Love the cinnamon hard candies! So much so that I order it and have it delivered right to my door. No one locally sales it but they sure should! This candy reminds me of the homemade hard candies I would get as a child but I can have this one year round!! Best part - the folks at Lehman's are personable and ready to help! Great company to give my business to! We bought 1 bag of each of the flavors when we were in the store in Kidron....so yummy! My husband's favorite was the Green Apple (very tart) and my favorite was the licorice. The Horehound Candies are great, thank you. ...............Marydel. The whole family got these in their stockings this year and loved them! Very good candy! We bought three bags of this candy. It is so delicious. Just like when I was a kid at my grandmas house, she always had this! My family loves these candies. We all have our favorites with licorice, cherry and lemon topping the list. Excellent candy. The horehound and sassfras flavors bring back really nice memories of my great grandmother who always asked for Claey's candy at Christmas time. Have you seen any of my Horehound candy yet? This is my second order in the past month. Hubby loves the Wild Cherry but I'm partial to Root Beer & Horehound. Fresh, well packaged for shipping, delicious candy. Polite company to purchase from. I will make another purchase in the future. Thank you. I have the guys at work hooked on your awesome candy. I feel like a drug dealer some times when they sneak over to grab a handful. We go through about 12 bags a week and I have bought up anything in a 50 mile radius! Keep up the great work. I purchased the horehound drops. They remind me of my grandmother who always gave these to us when we had a sore throat. Not only are they good for you but they are yummy! !